It's been the week from hell for those trying to plot Britain's exit from the European Union. 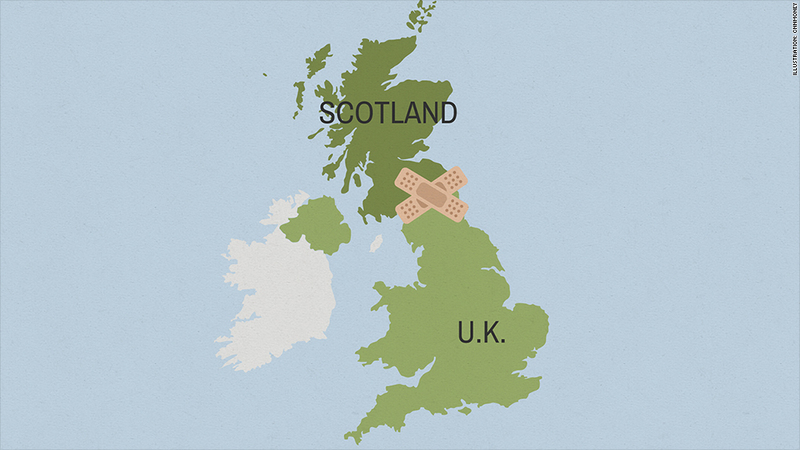 The U.K. economy sent new warning signs. EU officials drew a hardline. And the first major legal challenge was filed. The week's news made clear just how tricky it'll be for the U.K. government to deliver Brexit. Remember why this matters: No country has ever left the EU before, and the region is already facing a host of huge challenges (think refugee crisis, terror attacks, unemployment). The U.K. is the world's fifth biggest economy, the pound is a global currency, and thousands of foreign firms employ millions of Brits. 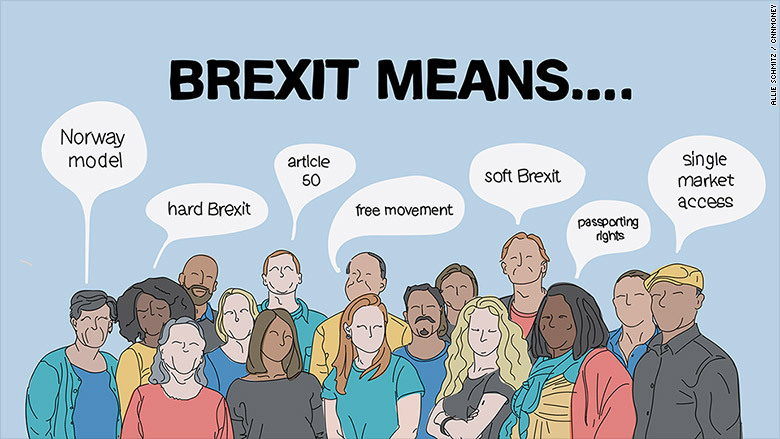 The U.K. is still a member of the EU, and will be for at least another 30 months. But investors have dumped the currency since the Brexit vote in June because they expect Britain to be worse off when ties with its biggest trading partner are ruptured. 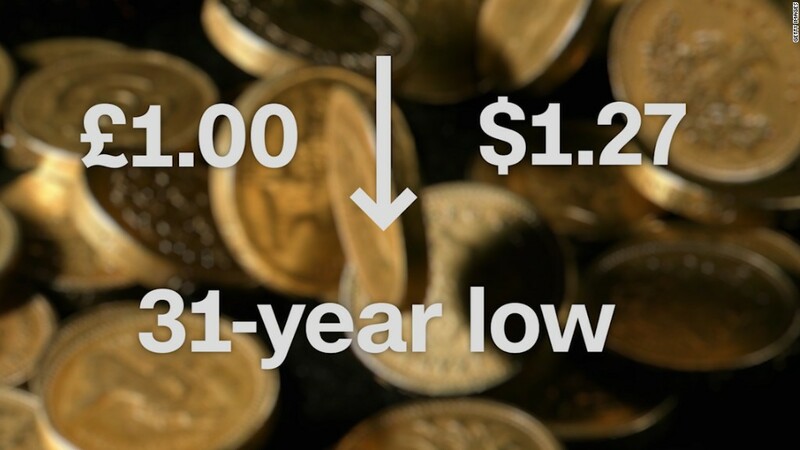 The pound has plunged 18% versus the dollar to its lowest level in 31 years, falling again this week after last Friday's "flash crash." It has fared slightly better against the euro, but now barely buys more than one at U.K. airports. Devaluations brings some benefits. Visiting tourists are spending more as their dollars/yuan/euros stretch further, and some British exporters are finding life easier because their goods are now cheaper overseas. But there's pain too. 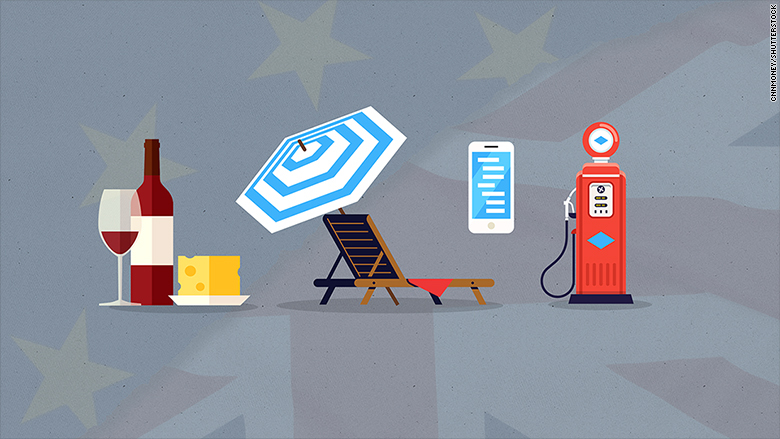 Britain buys much more from abroad than it sells, and the cost of those imports are rising. That pushes up the cost of everyday items. Britain's biggest supermarket and top food supplier fell out this week over who should pay the price. And then there's the big risk that the currency dive triggers a broader financial crisis, hitting stocks and bonds. "A switch from a necessary and ultimately helpful fall in sterling's value ... is threatening to become a more toxic move," said Kit Juckes, a strategist at Societe Generale. British officials continue to dodge questions about the kind of trading relationship they want with the EU after Brexit. They don't want to reveal their hand before two years of hard bargaining get underway early next year. "We are going ... to negotiate the best deal for the British people," Prime Minister Theresa May said Wednesday. "That will include the best possible access to the European market." But she also made clear the U.K. wants to limit EU migration -- a position that runs counter to the rules of the EU market. That can only mean one thing, according to one of Europe's most senior officials: a hard and painful Brexit. Donald Tusk, who chairs meetings of EU leaders, said the idea that the U.K. could gain a special deal giving it access to Europe's markets without playing by the rules was illusory. "In my opinion, the only real alternative to a 'hard Brexit' is no Brexit," he said. Dodging economic and political bullets is hard enough. Now the U.K. government is facing a legal onslaught. 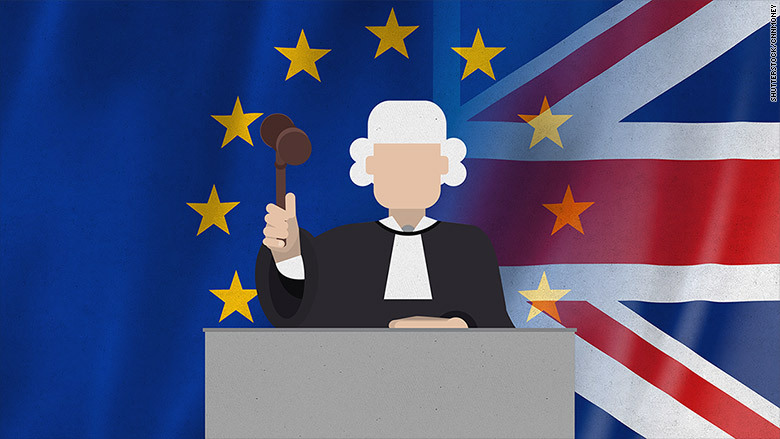 Judges began hearing a case this week on whether Prime Minister May can start the process of Brexit without winning the support of lawmakers. It centers on the balance of power between the prime minister and parliament. May argues that the vote in the June 23 referendum gives her the power to implement Brexit. The people behind the legal challenge say the government cannot override the act of parliament that took the U.K. into the EU back in the 1970s without seeking its approval. The argument is likely to go all the way to the Supreme Court. The referendum result is not in question, but defeat for the government could give lawmakers a chance to push for a compromise with Europe. Potentially far more damaging is the threat that Brexit could lead to a break up of the U.K.
Scots voted by a clear margin in favor of remaining in the EU. The leader of Scotland's government, Nicola Sturgeon, said Thursday that she was considering holding a referendum on Scottish independence from the U.K., before Brexit happens, to protect her country's interests. At a 2014 referendum, 45% of people voted for Scotland to become an independent country, while 55% voted against the proposal. "It will be a new debate -- not a rerun of 2014. We must not assume that people's views -- yes or no -- are the same today," Sturgeon's Scottish National Party quoted her as saying.